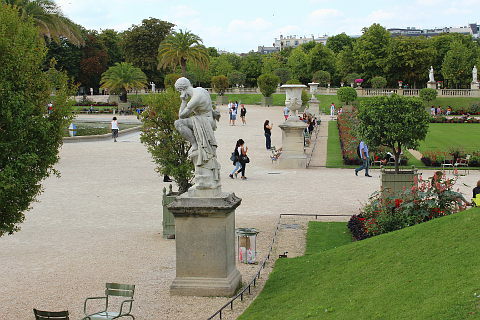 The Jardin du Luxembourg is in the centre of Paris in the 6th arrondissement. It is close to the Ile de la Cité with Notre-Dame and also to the Latin quarter. The 'jardin du Luxembourg', known locally as the "Luco" was created in 1612 on the orders of Marie de Medicis, mother of Louis XIII. 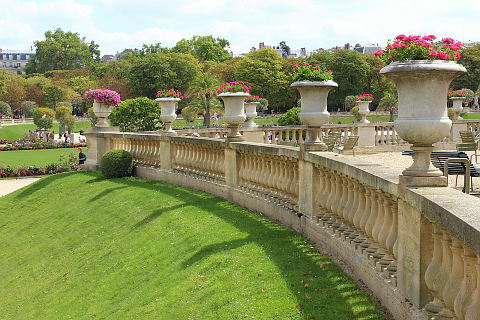 Covering 23 hectares it is one of the most popular gardens in Paris. The Jardin de Luxembourg is a garden to visit near to the Latin quarter of Paris and there are several listed buildings within the gardens. 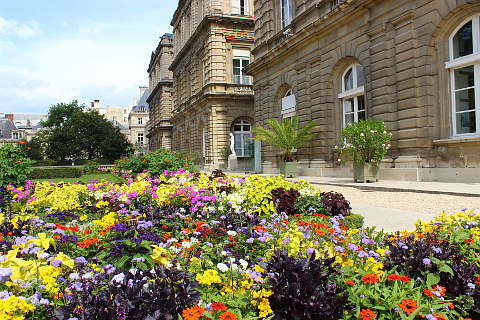 The Palais de Luxembourg, the Musee de Luxembourg which has some great art exhibitions and the Orangerie which houses plants from the mediterranean region. The main part of the park is a large French style garden with a large circular pond surrounded by statues and trees in pots. Symmetrical lawns surrounded by borders filled with bedding plants, gravel paths, clipped hedges, trees and more statues including a model of the statue of Liberty, form much of the park. Seats are provided and many people come to sit and contemplate the gardens or to eat their picnics. To the east of the garden is the lovely Medici fountain built in the style of a grotto which was a popular style at the time. At the end is a sculpture of the giant Polyphemus spying on the lovers Acis and Galatea. At the southern part of the garden there is an English style garden plus an orchard containing ancient and forgotten varieties of apples. The gardens are a great place to relax whilst visiting Paris. If you have children there is a very good play area and a puppet show. Adults are catered for too and can play chess, tennis, bridge or remote control boats. Whilst there are flower borders it is really more of a park. A place to enjoy some greenery in the heart of a city. 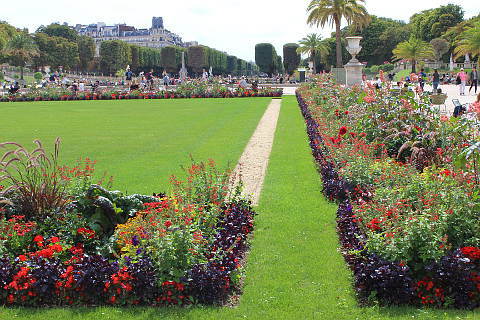 The gardens have appeared regularly in French literature, perhaps most famously in Victor Hugos "Les Miserables" where Marius and Cosette first meet . The garden is open from 8h00 to 17h00 in the winter and from 7h30 to 20h00 in summer. Visits to the garden are free. The garden is in the Latin quarter of Paris. Take the RER line B and get off at Luxembourg. The Jardin de Plantes is also in the centre of Paris and contains some impressive greenhouses. On the other side of the river is the Parc Monceau.